Industries - ISC-Industrial Solar Consulting, Inc. Unlike most solar companies, ISC does not focus solely on grid-tied residential, commercial, or utility scale solar projects. Rather, we focus on key industries which help to provide the backbone for our critical infrastructure system. Our clients require remote, off-grid power sources that will not fail. Very few companies have the experience to meet the design criteria required by these industries. Our designs utilize our experience and are “custom” in nature, meaning they are sized on a project by project basis in order to ensure proper balance between system size, reliability and total cost of ownership. We have identified a niche market of off-grid electricity consumers spanning six industries that have extremely low power outage risk tolerances and high demand for the replacement of fossil-fuel generators in remote locations. Our customers demand reliable, cost effective power solutions. Remote (off-grid) power consumption is similar for all of our customers because they require extremely reliable power supply in remote areas where it is not a viable option to connect to the electricity grid. In these situations, it makes financial and logistical sense to invest in solar and hybrid power systems rather than relying exclusively on conventional fossil fuel generators. 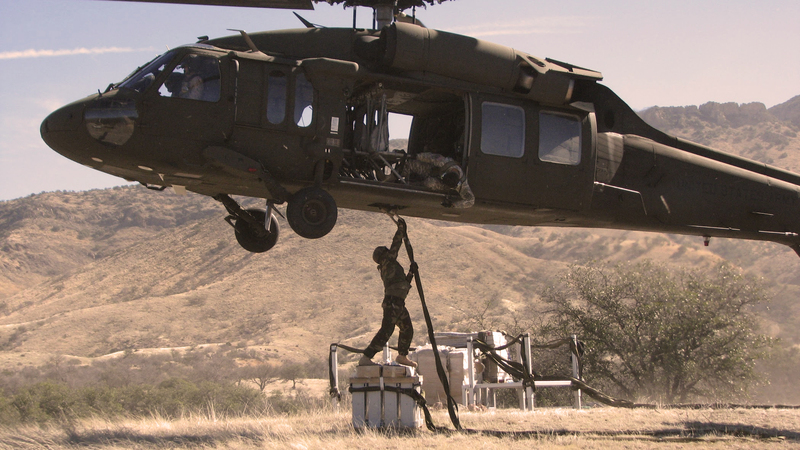 The US military is one of the biggest supporters of renewable energy in the country. They are also the single largest consumer of energy in the US. It is projected that the Department of Defense (DOD) will increase spending on renewable energy initiatives at a rate of over 20% per year in the near term and 10.5% per year over the long term. As of October 2010, fossil fuels accounted for 30 to 80 percent of the supplies shipped in military convoys to Afghanistan. In addition, it is estimated that more than 1,000 Americans have died while delivering fuel in Iraq and Afghanistan over recent years in the Army alone. While the US military purchases gas for just over US $1 a gallon, transporting that gallon to forward operating bases can cost up to US $400. Clearly, dependency on fossil fuels for forward deployed electricity consumption is a considerable cost to the military. Because the DOD is evaluating the total cost of fossil fuel usage at forward deployed locations, off-grid renewable energy applications are becoming practical, financially viable alternatives to fossil fuel generators. Contact Us to learn more about our military and government experience. The worldwide telecommunications industry is growing rapidly. In 2015, the worldwide population is expected to reach 7.4 billion while the number of cellphone subscriptions is forecast to be slightly over 7.5 billion, marking the first time cellphone subscriptions will exceed the worldwide population. This is mainly due to many users having multiple SIM cards and cell phones. While developed nations are experiencing extremely high cellular phone penetration levels (93% of Americans had cell phones as of June, 2010), the developing world is experiencing rapid market expansion. India and China, for example, are each adding millions of new subscribers every month. While the developed world is experiencing high volumes of market penetration, they are simultaneously expanding very rapidly into additional wireless services that require more energy intensive infrastructure including 3G/4G networks. This expansion is creating the need for new, energy intensive wireless telecommunications infrastructure. In both the developing and less-developed world, one trend is clear; wireless infrastructure needs to grow rapidly in order to keep up with demand. This trend is relevant to our business because wireless telecommunications networks rely on a vast system of signal towers to support their wireless networks. 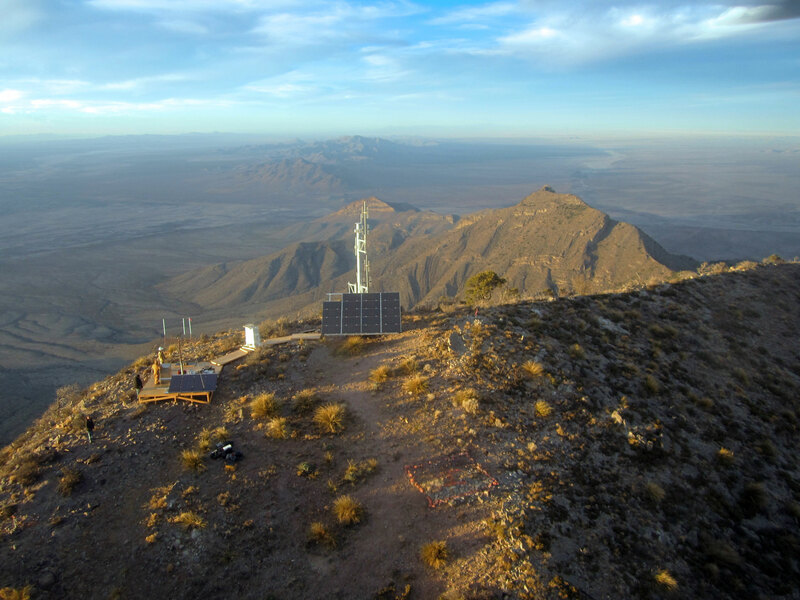 These towers are often located in rural mountain tops not readily-accessible to electrical grid connections. These remote sites are the wireless telecommunications applications that require our products and services. Solar energy is an ideal solution for powering the many devices needed to monitor and maintain remote pipelines and installations. 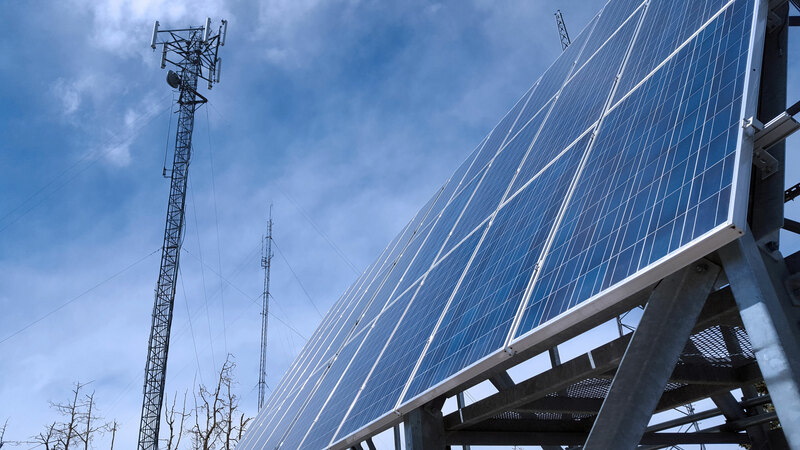 Currently, there are thousands of remote solar power systems delivering reliable, cost effective power for monitoring pipelines, drilling rigs, telemetry systems, and cathodic protection systems. Based on the sheer miles of developed O&G infrastructure, finding commercial power is sometimes difficult. 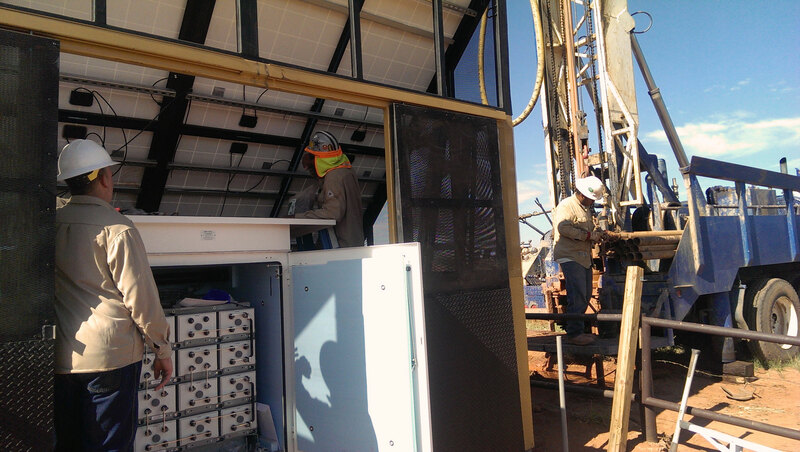 There is not a more reliable, safe, and cost effective solution to powering remote Cathodic Protection Systems, RTUs and SCADA systems in the field than solar power systems. But a remote power system is only as reliable as the uses and the people responsible for its design. ISC offers unique solutions to our oil and gas customers that give them the advantage of reliability and simplicity. These advantages have been demonstrated with our SolAnode ™ system. ISC is continuously working with our industry partners in the oil and gas industry to ensure we are familiar with the latest protection and monitoring technologies. ISC’s proven system design and integration services ensures our customers will have the most technologically advanced and reliable installations possible. North American railroads are undergoing a modernization of infrastructure. This modernization is characterized by greater control and visibility into railroad traffic. Over the next few years, many sensors, communications systems and remote controlling devices will increase train safety by allowing remote operators to detect and stop out-of-control trains. Throughout the vast railroad lines webbing North America, there are many “Dark Territories” that do not have easy access to electricity from the grid. Rail-side sensors are well suited applications for solar power. ISC understands that advanced surveillance technology is essential to securing our nation’s borders and military frontlines. Due to the vast expanse of terrain and varying geographic environments, renewable-sustainable power is often needed to compensate for a lack of sufficient AC power and difficulties associated with fuel transportation. ISC engineers and technicians provide renewable energy solutions that help ensure our customer’s sites are properly powered, monitored and maintained regardless of geographic or environmental limitations. Our unique expertise providing power for mobile and stationary remote applications throughout various industries makes us the ideal resource to provide integrated and adaptive power solutions to our customers. ISC is constantly researching the new technologies being utilized to protect our nation. We are doing our part to be on the forefront of renewable-sustainable power while adapting with technology to ensure our nation’s security. Clean water can be a rare commodity that could take days or even weeks to locate after a disaster. Municipal water supplies have a high potential for contamination, especially after floods or earthquakes. After a disaster, adequate shelter from the elements is typically sparse yet necessary for survival. Areas of refuge are essential for housing the sick or providing rest areas for responders. ISC is prepared to assist both responders and victims after a disaster strikes by providing the four vital elements necessary for survival. ISC’s mobile water purification systems and climate controlled shelters operate using both renewable and conventional methods of power. Our solar cool rooms can provide long term food and vaccine refrigeration. ISC also provides portable, containerized solar and hybrid energy solutions that are easily deployable. Using the correct combination of solar & wind energy, battery storage, and generators will provide disaster victims and responders fundamental elements of survival regardless of local resource challenges. ISC strives to utilize a variety of renewable energy resources integrated with modern technology to provide necessary elements of survival where they are needed most. ISC strives to utilize a variety of renewable energy resources integrated with modern technology to provide necessary elements of survival where they are needed most.